Britain has a fairly temperate climate and can sometimes be overcast. However, we enjoy long summer evenings due to our northerly latitude and periods of fine weather can happen in all seasons. The weather can vary greatly from day to day, but generally summer (June-August) is a hot 14-30 °C, and winter (December-February) is a cool 1-5 °C. There is quite a difference in temperature between Scotland and Southern England. Generally, the further south, the warmer it is likely to be. (The last Sunday in October to the last Saturday in March), 8 hours slower than China; summer time (the last Sunday in March to the last Saturday in October), 7 hours slower than China. British food is not bland and boring, she also has delicious dishes, such as roast beef, fish and chips, Shepherd’s pie, Yorkshire pudding and the famous ‘Afternoon Tea’. Besides the British food, Indian, French, Italian and also Chinese cuisine can be found in the UK. Britain has well established medical system, overseas students study courses six months or longer can enjoy the National Health Services, NHS. NHS is a free medical service which have widespread coverage, including emergency room and clinical service. Students should register at their nearby health care centres with their passports and student cards issued by the schools when they arrive at the UK. When the registration is finished, a medical card with a registration number will be issued to the students; they have to show this card for every medical service if they wish to enjoy the coverage of NHS. But when the overseas students just take short courses, extra overseas insurance will be bought for each of them. If you want to bring medicine into the UK, first check that it is licensed for use. Always carry medicines in a correctly labelled container as issued by the pharmacist. Otherwise, bring a letter from your doctor or a personal health record card giving details of the drug prescribed, in case it is queried by customs or you require additional supplies. Remember that some medicines available over-the-counter in other countries may be controlled in Britain, and vice versa. For further information please contact HM Customs and Excise Advice Centre, Tel: +44 (0)20 8929 0152. In Britain you can obtain prescription, and over-the-counter (non-prescription), medications as well as expert medical advice at pharmacies – often called chemists. We recommend you carry a letter from your doctor stating your prescription and dosage if you are taking any medication. You do not require an International Certificate of Vaccination when travelling to the UK, but you should check if one is needed on re-entry into your own country. The level of food hygiene in Britain is very high, so you should simply observe the normal precautions when consuming food products, i.e. ensure it is thoroughly cooked, or that it is within the expiry date. The standard of water cleanliness is also very high, and in general kitchen water supplies, tap water in restaurants and ice cubes are safe drinking water. You can find bottled water in most shops and supermarkets. The banks in the UK are the best choice for assisting the students to manage their money. We have agreement with the Hongkong and Shanghai Banking Corporation Limited (HSBC) in the UK to help students open bank accounts and manage their finances. If the students do not want to use the HSBC, they should learn some basic concepts of finance management. The domestic and international transportation in the UK are well established, and students enjoy attractive concessionary rates. Bus, tube (underground railway) and bicycle are the main transport means for the students in the UK, therefore, students should check the regulations and concessionary fares of the transport concessionary card when they enrol into the schools. (The transport concessionary card is usually for the full time students with age limit, and generally valid for one year). We compare all the leading airlines for the best scheduled, charter and low-cost flights to Britain. Air isn’t the only way onto this island however, we’ve also got all the information on high-speed rail links from Europe (Eurostar and Eurotunnel), as well as ferry routes to and from various destinations. Whether you are travelling on foot, by car, bus, taxi or train, in fact whatever type of transport you’re using, we can help you find your way easily from city to city, airport to station or restaurant to hotel, as well as providing you we essential information on how to use these services in Britain. UK is a shopping heaven, the desire for shopping and bargain will be satisfied for everybody. Read this introduction first. Overseas students living in the UK is to experience another life style and culture, but they sometimes also want to live in the environment they are familiar with, especially food from their own countries. Fortunately, the British taste becomes more international, and it is easy to find food in the supermarkets suit the students’ appetites. In the big cities, there are Chinese and Indian supermarkets, Italian groceries and Japanese sushi bars etc. And the prices are comparatively higher than their original places. Most of the food and daily commodities can be found in the supermarkets, but it had better to make comparison among other shops. Shops close to the dormitory will have special discount to students; members of some clubs can also enjoy discount (such as Tesco Club card or Sainsbury Rewards). Fresh vegetable, fish, meat and bread will have discount in the evening, buy late and save more. Another bargain place for cheap food and clothes is the traditional market. However, cheap clothes can also be bought from the discount areas set in stores all year round, such as Gap and Miss Selfridge; charity shops selling second hand clothes is also a good bargain; second hand shops operate in the universities may have vintage jeans, denim jackets. Students definitely can find the clothes they wish. There are also special times to buy cheap clothes – January and July when all shops are on sale. Because competition among Variety Stores in the UK is fierce, they always lower the price tags or offer discount for their merchandise. It is also a good place to visit. Another kind of discount is bundling sales – customers can buy two get one free ( buy three pieces with two-piece price) or buy one get one free ( buy two piece with one-piece price). Some department stores or shops offer discount (such as 10% off) for a couple of days, you really can get good stuff in low price. Some people will even arrive one night before the sales. Online purchase is also growing in Britain. 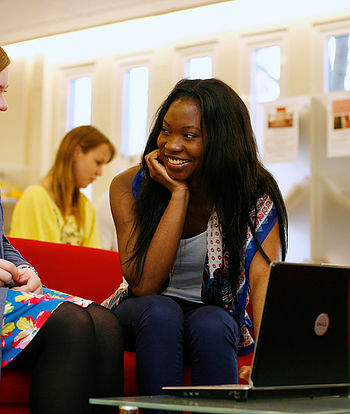 All universities in the UK provide free and unlimited internet service to their students. You can buy anything online as long as you have credit card or debit card. Moreover, some online shops have free delivery service, so it is also a cheap and convenient shopping way. All overseas students with valid visa can work after school to ease their financial burden. They can work no more than 20 hours per week, but can work full day during their holiday. Most of the universities and colleges have vocational centres, which can give job advises to the students. Job vacancies inside or close to the universities or colleges will be posted on the billboard. The students’ interest will be protected because the minimum wage law has been imposed in the UK. But students should bear in mind to put their study in the first priority, and must well understand the job nature, wages and safety.